He shut himself up in his tower; from there he could contemplate the sea and the ships as they moved slowly on the horizon. The charqui, more breeze than wind, made the water dance under the warm summer light. 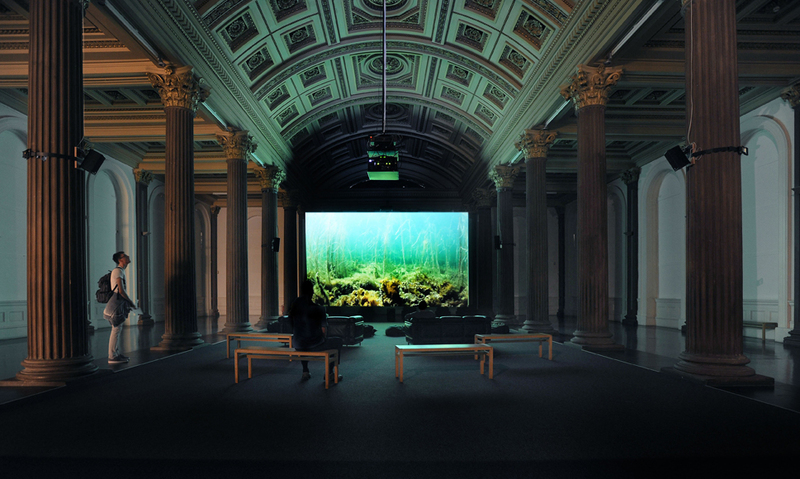 The morning after reading this story of the powerful and prayerful pull of the sea, an email popped into my inbox rather literally ‘out-of-the-blue’ – inviting me to speak at a seminar at the Glasgow Gallery of Modern Art (GOMA) reflecting on a film installation about the sea. Like el-Behar’s legendary prayerful connection with the sea, Clyde Reflections powerfully evokes the endless yet always changing rhythms of the Firth of Clyde on the west coast of Scotland: the mystery of its depths; and the dynamic atmosphere generated by space and weather as these meet the moving horizon of the sea. 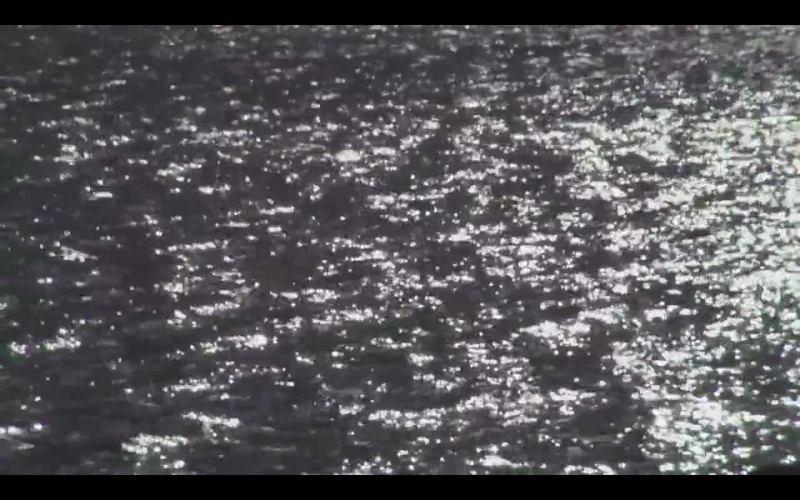 Created through a collaboration by social ecologist Ruth Brennan and film-maker Stephen Hurrel, and described as ‘a meditative, cinematic experience based on the marine environment of the Firth’, Clyde Reflections is a moving and effective invocation of the multiple perceptions that different people may associate with the same place. 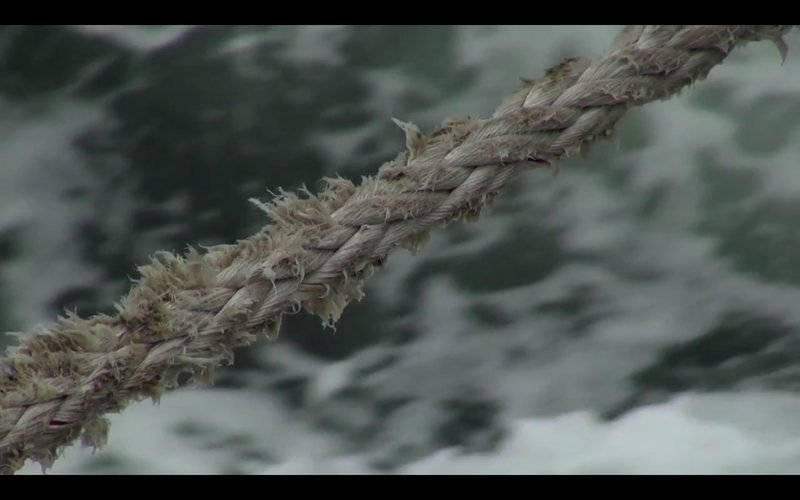 Through skilfully combining words and images to create suggestive textures of sounds and the visual, and at once aesthetic and informative, the film brings to the fore the heterogeneity of views and experiences of one environmental circumstance. This is, perhaps, the installation’s greatest success. To provide space for plural and competing views to jostle with each other in the same context; and thus to draw attention to indeterminacy and uncertainty in our understandings of nature-beyond-the-human. In doing so the film works effectively to highlight the always present complexity of deliberative processes and management choices for such contexts. Screenshot from ‘Clyde Reflections’, used with permission. A tragedy is that frequently it is those voices with the greatest intimacy with environmental contexts – including understanding of how to live well with its possibilities, limits and dynamics – that may be sidelined and occluded in discussion, as observed in multiple contexts globally. Although there is complexity here too. In Clyde Reflections, for example, I was particularly struck by the thread of commentary associated with the voice of now retired fisherman Howard McCrindle and the depth of lineage of fishing practice in the Firth of Clyde. He speaks of his father being a fishermen, his father before that, and his father before that and so on, saying that fishing is in the blood. But then, he speaks almost immediately of the ‘terrible slaughter’ linked in recent decades with improved fishing technology, and the over-fishing of stocks. In other words, intimacy with environmental contexts is not enough to live well with these contexts, especially if there are other powerful forces – in this case technological change and market demand – pulling practice in destructive directions. Clyde Reflections works to draw the viewer-listener into such storylines through the quality of suggestion rather than prescription. I appreciate this absence of an authoritative narrator, which is in contrast to much that is conventional in ‘natural history films’ and documentaries. The film’s pace allows the power of images and sound to evoke and communicate meaning that ultimately rests the viewer-listener. This creates an encouragement to yield into identification with the spaces and issues evoked in the installation – rather than to be fed a directed storyline. It generates a destabilisation of power-relationships: there is no expert leading the viewer-listener into a particular version of ‘the Truth’. As a viewer-listener, I am empowered with the space to come to my own meanings from immersion in the juxtaposition of images, words and sound that flow from the installation. This orientation supports cinematic encounters with reflective appreciations of, and perhaps connections with, nature-beyond-the human. It might thus become part of a broader encouragement for adjustment of our ways of living so that ‘we’ might support, rather than destroy, the diversity of life-forms with which we inhabit Earth. Moving to a slightly different but related point, I want to say something about my sense of how the film installation encourages viewers to meet nature-beyond-the-human in this context. This is in part through its evocation of elemental forces: especially, of course, the movement of water in the Firth, but also the wind rippling this water and the prayer flags on Holy Island, and the sun as it reflects off the water. But additionally there is an encouragement to really witness the ‘nonhuman’ other. 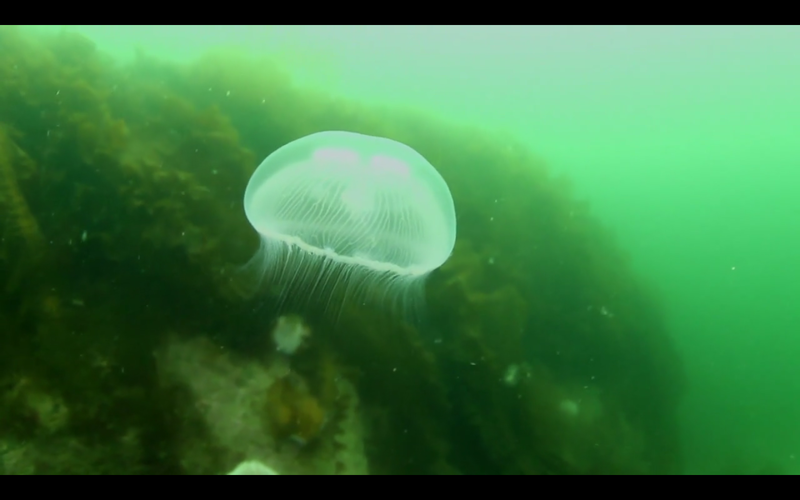 For example, I loved the underwater sequences of jellyfish – I could watch these for hours! And also the fascinating images of the microscopic world and its movements and agencies. Screenshots from ‘Clyde Reflections’, used with permission. It seems to me that seascapes and marine environments perhaps encourage us – as the biological species of Homo sapiens – to think particularly hard about how to approach and relate with nature-beyond-the-human. This is not only because of our impacts on seascapes, marine environments and fisheries – as identified throughout Clyde Reflections. It is also because the other-than-human inhabitants of marine contexts are seemingly so very different to ourselves. 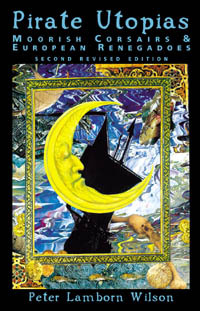 I want to make a connection here with an extraordinary little book, philosopher Vilém Flusser’s (2011(1987) meditation – or what he calls a ‘fable’ – on a cephalopod inhabiting the deep seas of the Atlantic with which, via the Irish Sea, the Clyde of Firth ultimately is connected. 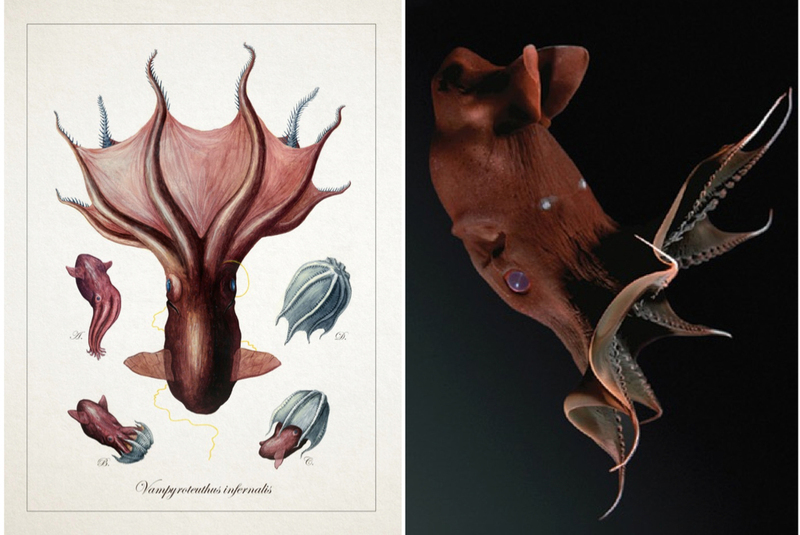 The Latin name of this creature – Vampyroteuthis infernalis – means ‘vampire squid from hell’. It is described as ‘among the most fascinating animals on earth’, with ‘proportionally the largest eyes of any animal in the world’. Being encouraged to bear witness to such radical othernesses as they are embodied in our companions here on earth perhaps assists us to think and relate ethically across this radical difference, so as to support the flourishing of diversity. As such it can provide a much needed corrective to an impetus in ‘natural history’ and ‘wildlife’ film-making more broadly that seems to convey the natural world as a spectacular action drama. Instead of drawing us closer to nonhuman nature, such films can have significantly disconnective effects. At the same time perhaps in this witnessing we might find possibilities for kinship, recognition, resemblance and solidarity across these differences. To return to jellyfish: it might be easy to think that such creatures are utterly different to ourselves. And yet, these animals – which have been around for hundreds of millions of years – embody an intricate neural circuitry that in evolutionary terms is connected with the emergence of the extraordinarily complex nervous system of humans. 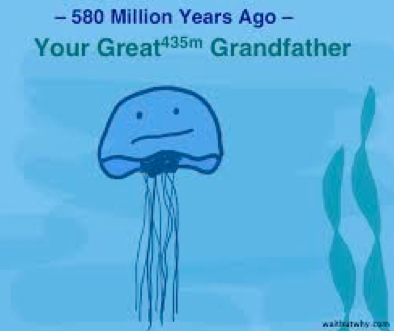 We can perhaps find the evolutionary remnants of our inner jellyfish in our soft jelly-like brain, and the tendrils of the spinal cord and connected nerves that flow downwards from this – which now, 500 million years later, are protected by a skeletal and muscular structure. In other words, we are perhaps more connected with such differently embodied natures than may be apparent at first glance. As such, I appreciated the voices in the film that spoke of there being no such thing as a balance of nature, as well as the repeated references to flux and dynamism. At the same time, and as many of the voices in the film affirm, it seems to be the case that the particular participations of modern industrial economic practices are also changing everything. On which, for me there were perhaps some silences in the film which I was curious about. Of course, different people will speak of and emphasise different things. But given the emphasis of the meditation on change caused by human agency I thought we might hear some more about the historical and current role of the Firth of Clyde in a range of heavy industries. These include the shipping industry, as well as the importation of fossil fuels, especially oil/coal, which of course are connected with climate change, a motif that was mentioned at different points in the installation. 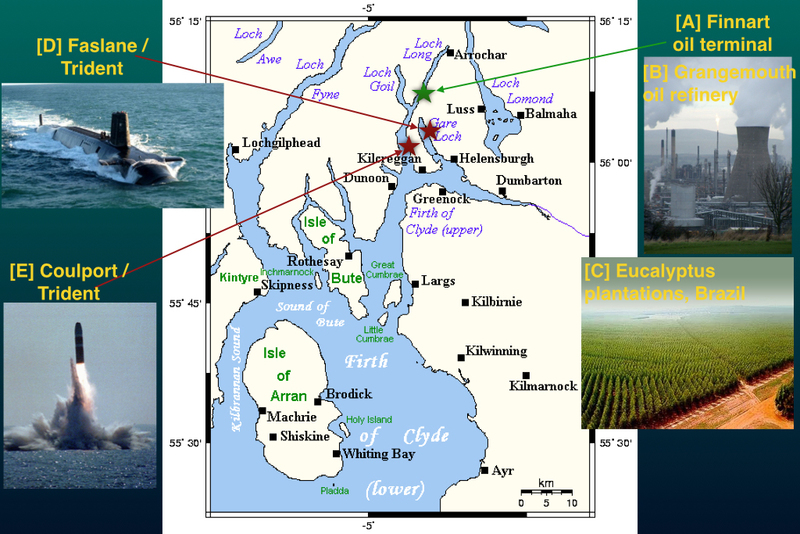 These elements connect the Firth of Clyde in fascinating ways with global commodity markets, as I’ve tried to show on the map below. So, for example, Finnart oil terminal [A] is connected by pipeline to [B] Grangemouth oil refinery on the other side of Scotland. Under the Clean Development Mechanism (CDM) of the UN Framework Convention for Combating Climate Change (UNFCCC), Grangemouth has been offsetting its fossil fuel emissions through investing in plantation forests in Brazil [C]. Through these connections, plantation forests in Brazil are framed as soaking up fossil fuel carbon emitted from Grangemouth. But they bring about their own problems because the plantations invested in are Eucalyptus, planted to supply pulp for paper mills. Eucalptus plantations create a green desert in these contexts. They displace all native species, cause different forms of industrial pollution, lower the water table and have precipitated displacement of local people. And of course, for me coming from ‘down south’, a lively issue concerms expenditure on the Trident nuclear missile and submarine programme, and the proposed movement of Trident submarines to Plymouth (not all that far from where I live in fact). I had not realised until preparing this talk that Faslane [D], where the Trident-bearing submarines are located, and Coulport [E], where the Trident missiles are stored, are both located on waters that extend from the upper reaches of the Upper Firth of Clyde. Connection with these broader contexts might have illuminated further the pressures facing the Firth of Clyde over the years. Nonetheless, Clyde Reflections is for me is an effective provocation that encourages – even entices – reflection on a wide range of different views and voices present for one geographical space. It encourages consideration of our positionality within the natures of which we are part, as well as of the effects that we are having through our participation in these natures. 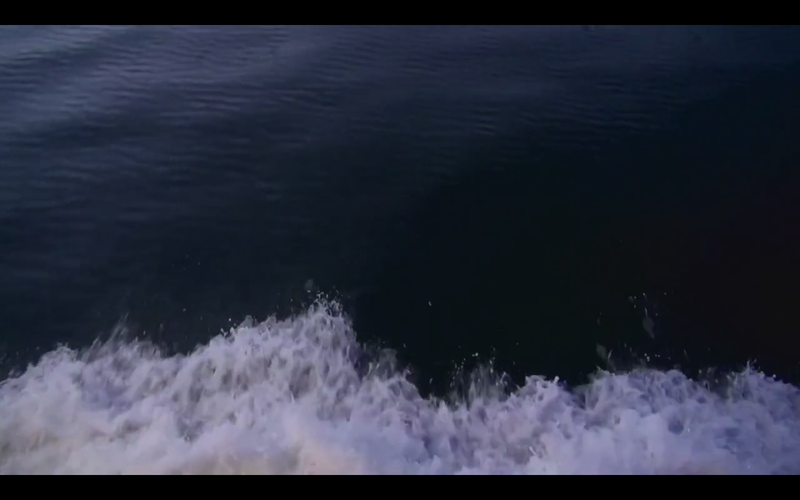 As such it brings us towards reflection on a series of poignant edges, invoked for me by some of the final images in the film generated by the movement of a boat through water. Edges between hope and despair, crisis and recovery, annihilation and choices now that might make possible different sorts of future. A brief note on terms used here to denote ‘nature(s)’. ‘More-than-human nature’ is advocated by phenomenologist David Abram as a way of overcoming the way that ‘nonhuman nature’ defines nature-beyond-the-human in a negative sense, i.e. as nature-that-is-not-human (Abram, D. 1996 The Spell of the Sensuous: Perception and Language in a More-Than-Human World. London: Vintage Books). Abram’s intention is to acknowledge that the human world is always a subset of ‘nature’, but never the other way around. The human world thus is always ‘embedded within, sustained by and thoroughly permeated by, the more-than-human world’, while the more-than-human world, although including the human world, and frequently ‘profoundly informed by the human world’, ‘always exceeds the human world’ (Abram, D. pers. comm., 4 March 2015). I also use the terms ‘other-than-human’ nature(s) or ‘nature-beyond-the-human’ (after Kohn, E. 2013 How Forests Think: Towards and Anthropology Beyond the Human. 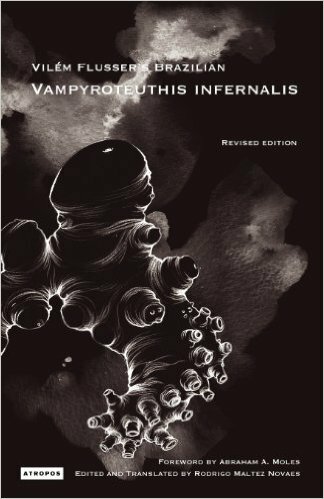 Los Angeles: University of California Press), when referring to organisms, entities and contexts other than the modern common sense understanding of the biological species Homo sapiens. At the same time, the situation may be even more complex. This is because in many ‘animist’ and amodern cultural contexts embodiments other than the modern biological species category of Homo sapiens may be perceived ontologically as representing different bodily perspectives – different natures – that nonetheless are embraced by a broader, inclusive category of human persons (see Viveiros de Castro, E. 2004 Exchanging perspectives: the transformation of objects into subjects in Amerindian ontologies. Common Knowledge 10(3): 463-484; also Sullivan, S. and Low, C. 2014 Shades of the rainbow serpent? A KhoeSān animal between myth and landscape in southern Africa – ethnographic contextualisations of rock art representations, The Arts, 2014, vol. 3(2), pp. 215-244). Invoking ‘nonhuman’ or ‘more-than-human’ nature in these cultural contexts might thus discount the perceptual and ontological reality guiding understanding and practice in such contexts, in which a greater degree of underlying ontological, communicative and cultural continuity is acknowledged between different embodiments ‘in nature’ than might be the case in the species thinking informing modern natural science. I discuss this further here. On which, also see the non-narrated film meditation Green. See the documentary The Mermaid’s Tears: Oceans of Plastic, directed by Sandrine Feydel. This piece on ‘Clyde Reflections’ is an incredibly thoughtful bit of writing. For those of us in the arts its lovely to see someone engage the work with such intensity and clarity. You describe the finest features of this unusual work. Your referencing of the fisherman and his reflection on his family, his culture and the disastrous technological advances that brought fish stocks to the point of collapse is spot on. Your introduction was inspiring, the comments on the larger inter relationships to industrial and defense economies added another circle of meaning to what I think about when I look at the work. So sorry to have missed your talk with Stephen, Ruth and Chris, we were inbound from Loch Maree and found ourselves dawdling on the way home to Glasgow. Tim Collins and Reko Goto, Glasgow. Tim – apologies – I have only just seen this lovely comment from you, thank you so much, and for your thoughtful engagement. Sorry not to have met you!